Firstly, don’t panic. If the whole tooth is out of its socket, pick it up, avoiding touching the root and rinse it with milk or water, for a couple of seconds. Carefully put it back into its position in your mouth. Now come see us ASAP. Your tooth has a higher chance of surviving the sooner you see a dentist. We hold space daily for emergency dental appointments. If part of your tooth is chipped, keep it moist, and visit us ASAP so your dentist can see if the broken part can be re-attached. If you’ve lost it, don’t panic. We can take care of this too. Give us a call on (02) 4961 6300. If the incident is serious please call 000 immediately. 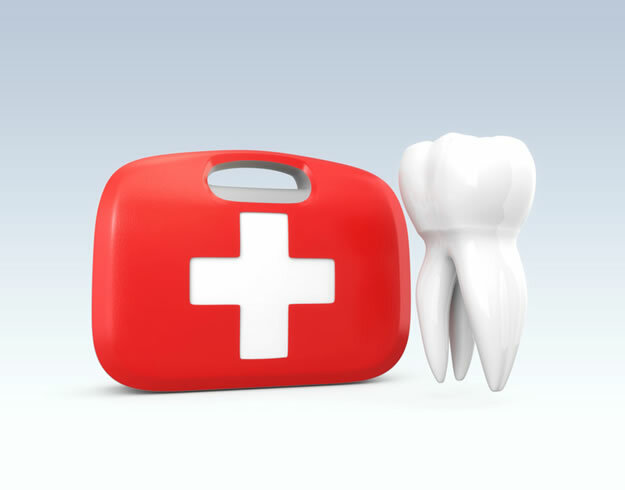 For more detailed information regarding emergency dental visit our blog on dentistry and trauma.